The driver and the security guard of the deceased Bishop of Bafia, Jean-Marie Benoit Bala detained on the 2nd of June 2017 have both been released. 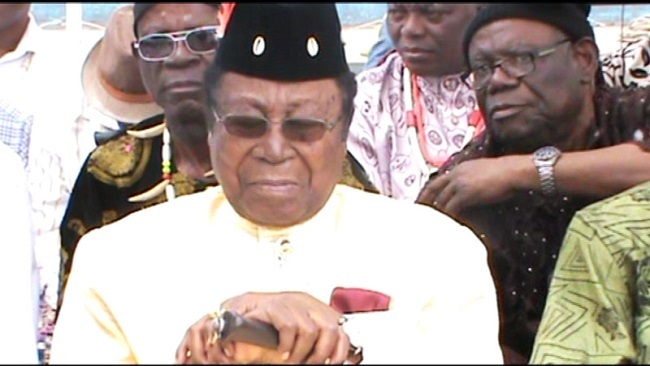 However, a well-placed security source told Cameroon Intelligence Report that they still remain part of the judicial investigation opened following the discovery of the body of the prelate. Our source also hinted of a long inquiry into the affair. On May 30th, 2017, the Bishop of the Diocese of Bafia reportedly disappeared. On June the 2nd, 2017, his body was taken out of the water in the Sanaga River at a place called Tsang in Monatélé Division after an intensive search. Some few hours after the discovery of Bishop Bala’s body, the guard of the diocese of Bafia Ibrahim A and a driver Mathieu N were arrested and placed in custody in Yaoundé in the Central Region. 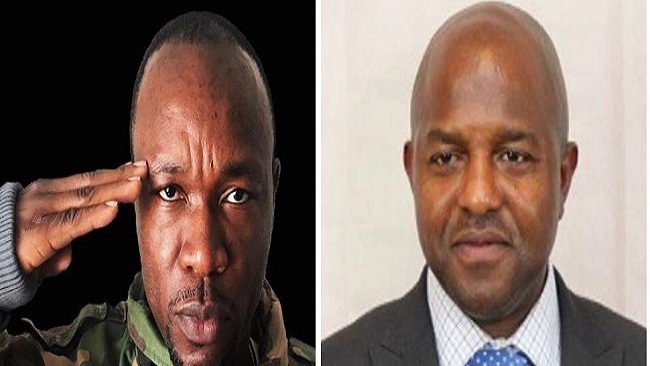 Nothing has so far filtered from the detained action of the two people who were closed to the immediate entourage of the deceased bishop. As for the funeral program of the late Bishop Bala, a relative confided that it not in the family agenda for now. 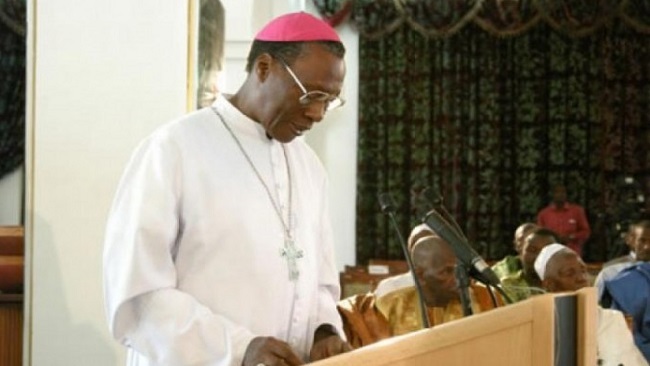 Last week the Episcopal Conference of Cameroon declared that the prelate “was brutally assassinated” and requested that the Biya Francophone Beti Ewondo government should make public the circumstances surrounding the death of the late Bishop. The body of Bishop Jean Marie Benoît Balla was found on June the 2nd 2017 in Tsang, an area within Ebebda in the Centre Region. Administrative and security authorities who camped at the area took time to formerly identify the body before it was announced that the remains of the Man of God had been found. 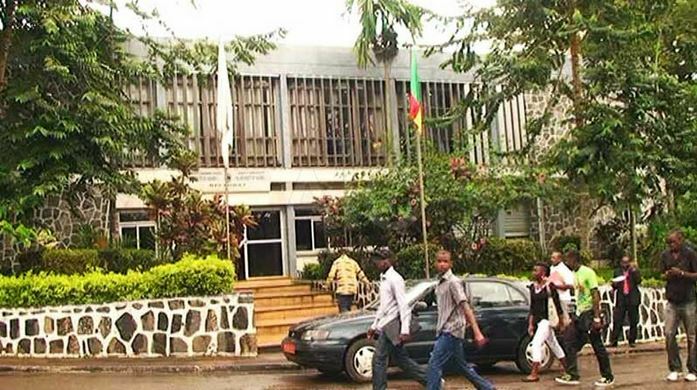 State radio and television reported that Cameroonians were relieved at the news but cannot find closure until lingering questions in relation to the tragedy have been answered. – The Man of God looked physically tired in recent days. – That the Bishop worked normally, not from his office but from his residence that faithful Tuesday. – That the security guard opened the gate when he drove out at about 11pm Tuesday. – That he left a note that did not say much about his state of mind. – What should the famous phrase “je suis dans l eau”, “I am in water”, mean? There goes the confusion surrounding the death of a Bishop whom Catholic Christians considered a reference. As funeral arrangements begin, there are hopes that more information to explain what looks like suicide will be made available. If this is not done, the death of Bishop Jean Marie Benoît Balla will be considered as an unsolved mystery. Millions of Euros have been transferred to Swiss bank accounts by the Malian Catholic Church, according to documents from the vast survey “SwissLeaks” published by a French newspaper Le Monde. The revelation has rocked the Roman Catholic Church in Mali. The survey “SwissLeaks revealed that seven accounts were opened by the Episcopal Conference of Mali at HSBC in Geneva, Switzerland. These accounts were credited with 12 million Euros (7 billion CFA francs), according to the latest bank statements dated 2007. Three senior Christian leaders of the church, including the Archbishop of Bamako, Jean Zerbo who was recently made cardinal have all been implicated in the affair. Jean Zerbo was quoted as saying that “It’s an old account. This is a system that we inherited from the Order of Missionaries of Africa that managed the church, “he said. According to the survey documents, these accounts are still active at HSBC Private Bank in Geneva, which declined to comment. Bishop Jean-Marie Balla, has reportedly killed himself under a bridge at Ebebda some 78Km from the nation’s capital Yaoundé. 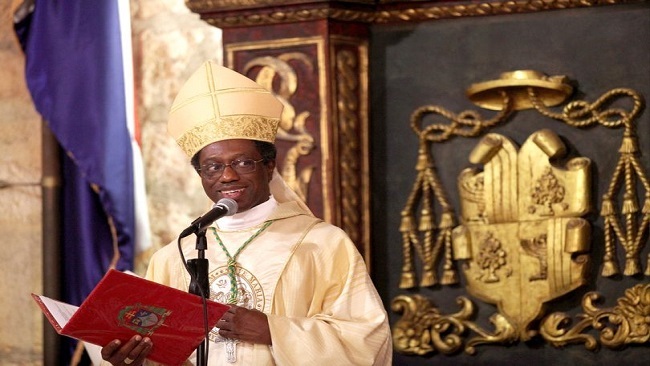 The prelate’s car and a statement left by him saying “I am in the water” suggest that the Roman Catholic Bishop of Bafia would have committed suicide. Bishop Jean Marie Benoît Bala was appointed Bishop of the Bafia diocese with a Christian population of over two hundred thousand in 2003. Jean Marie Benoît Bala was born May 1959 in Oweng Mbalmayo. He is originally from Mbankomo in the Mefou-Akono Division (Central Province). In addition to studies in philosophy and theology at the Major Seminary at Nkolbisson, he holds a diploma in Social Sciences and Management from the Catholic Institute of Yaoundé. He was ordained priest in 1987 by the late Arch Bishop Jean Zoa. 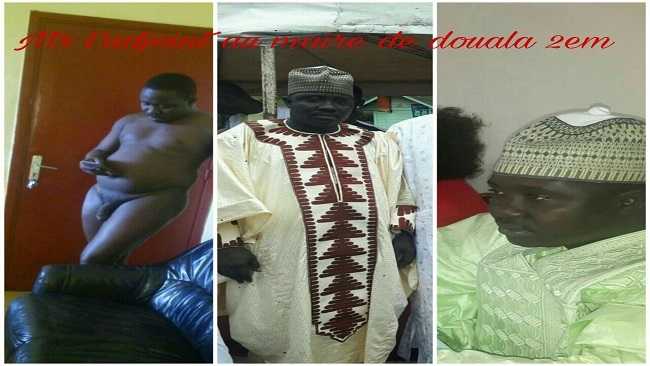 The vehicle of the Bishop of Bafia was discovered on the 31st of May 2017 on the side of a bridge at Ebebda, a small locality in the department of Lekié, Central region. According to the Senior Divisional Officer for Mban and Inoubou, Maurice Tchoffo, it is difficult at the moment to know what really happened to the Man of God. Indeed, the prelate’s personal documents were found in his vehicle, as well as a piece of paper containing the inscription “I am in the water” suggesting that he had indeed committed suicide. Bishop Benoît Balla, 58, to many around the world has committed sacrilege that will hunt the Roman Catholic Church in Cameroon forever. The recovery of our nation from the ruling CPDM crime syndicate, if it is to happen, will require confident and reasonably clean religious leaders not priests who can’t keep their hands off teenage girls or other men’s wives, or whose bishops are unable or unwilling to deal with them. The sudden disappearance of Bishop Balla is an indication that our secular leaders have abandoned the outer defenses of our nation and civilization. 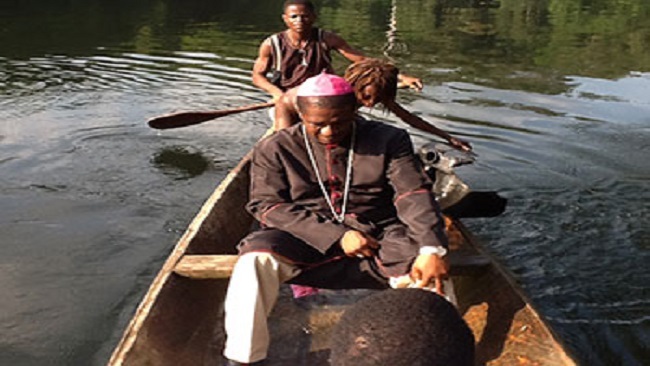 Bishop Benoit Balla is among those Cameroonian priests who likely failed in the last stand at the inner defenses and was tolerated by the Roman Catholic Church hierarchy for too long. It is hard to say at this point but the death by suicide of His Lordship Bishop Balla has stunned many people around the world. He is the first Cameroonian Roman Catholic Bishop to take his own life. 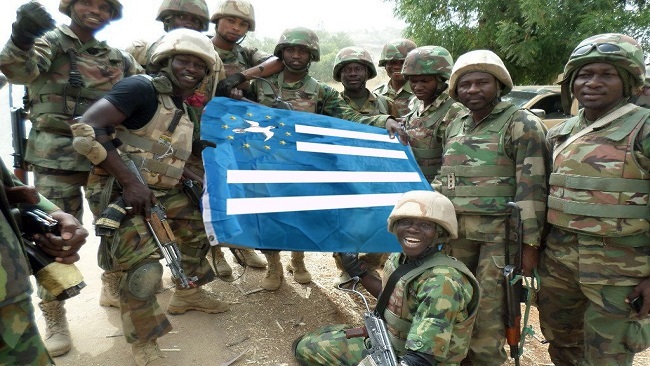 Cameroonians are understandably shocked by the particular circumstances of the tragedy. But when the dust settles around the death of Bishop Balla, and his brother- Francophone Cameroun bishops and parishioners begin to pick up the pieces, it’s vital that some good can be brought out of this tragedy. We of Cameroon Intelligence Report believe and fervently too that there is a danger that when the shock dies down, we all get back to business as usual and there is no discussion about the wider questions. We need to talk about the Cameroonian Roman Catholic Bishops and priests be they Anglophones or Francophones. This is not the suicide of one Christian whose wife dumped him for a pastor which would be statistically irrelevant. It is not even the suicide of two or three Anglophone priests which may find more correlation with the seven months old Southern Cameroon crisis. We are talking here about the suicide of a Roman Catholic Bishop in Cameroon in very shameful and disgusting circumstances. A core Roman Catholic teaching which often emphasizes the rewards that come with good works or the punishment that comes with sin has been rubbished by Bishop Balla of the Bafia Diocese. So, God’s grace cannot be earned through good deeds if a Bishop who understands the Roman Catholic strictness of the teachings on suicide and how those teachings become internalized among Catholics could afford to end this way. The end of Bishop Balla has also called into question the act of regularly confessing sins to a Catholic priest. It was generally thought that since suicide is the only sin that could never be confessed to a priest, a Catholic who finds confession important to avoiding Hell may be less inclined to commit suicide. (We will come back to this aspect later). Roman Catholic teaching on suicide is clear. As set out in Blessed John Paul II’s Evangelium Vitae (#66): Suicide is always as morally objectionable as murder. The Church’s tradition has always rejected it as a gravely evil choice. Even though a certain psychological, cultural and social conditioning may induce a person to carry out an action which so radically contradicts the innate inclination to life, thus lessening or removing subjective responsibility, suicide, when viewed objectively, is a gravely immoral act. In fact, it involves the rejection of love of self and the renunciation of the obligation of justice and charity towards one’s neighbour, towards the communities to which one belongs, and towards society as a whole. In its deepest reality, suicide represents a rejection of God’s absolute sovereignty over life and death, as proclaimed in the prayer of the ancient sage of Israel: “You have power over life and death; you lead men down to the gates of Hades and back again” (Wis 16:13; cf. Tob 13:2). Suicide is indeed a mortal sin. If it be not only ‘as morally objectionable as murder’, but ‘always’ so, it is difficult to understand how it might be forgiven before the Throne of Judgment. It is right to say that Bishop Balla of the Bafia Diocese who committed suicide may not possess an informed intellect (ie know that suicide is wrong); and he may not have given full consent of the will (ie intended to commit the action). If he killed himself out of fear or psychological imbalance or emotional stress, there cannot be full consent since these impede the exercise of the will and mitigate responsibility. The Catechism states: ‘Grave psychological disturbances, anguish, or grave fear of hardship, suffering, or torture can diminish the responsibility of the one committing suicide’ (#2282). But in this Bishop Balla suicide there is something which ought to alarm the Roman Catholic Church at the very highest level-the strong ties between the Francophone Roman Catholic Bishops and the barons of the ruling CPDM government. All suicide is tragedy. So, yes, we need to talk about Bishop Balla. But let us not do so apart from institutional systems, outdated dogma and overbearing hierarchy. The suicide may as well be an act staged by hired security agents from the state or from abroad. 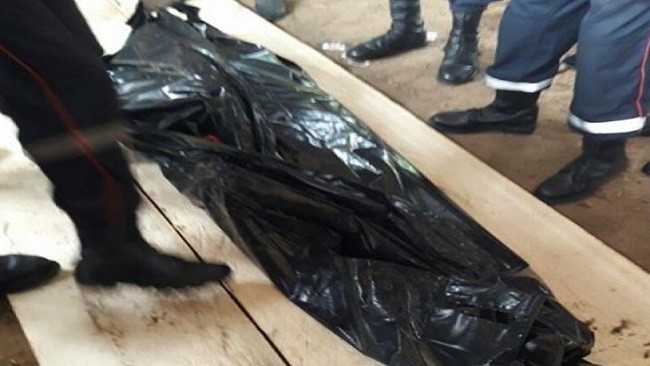 A man in his thirties widely believed to be an ardent supporter of the ruling CPDM crime syndicate committed suicide last week in Olembé located in the Yaoundé 1 district, Cameroon Intelligence Report has learned from concordant sources. 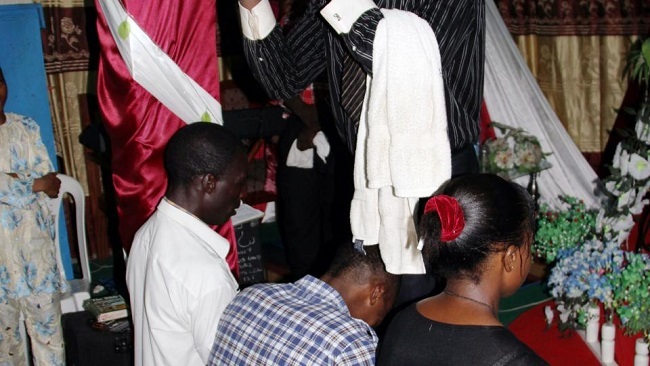 Relatives of the victim who insisted on keeping anonymous the identity of their brother said that he killed himself by hanging last Wednesday, because the wife left him for a pastor. “We found his body hanging on a rope. On a chair there was the letter that the deceased left behind. According to this letter, the man has committed suicide because his wife left him for the pastor of his own church “said a family member. The pastor who calls himself “King David” took her as a second wife and has been having several affairs with married women, causing the dissolution of many marriages. Pope Francis has appointed an African priest as apostolic nuncio to Ireland for the first time. 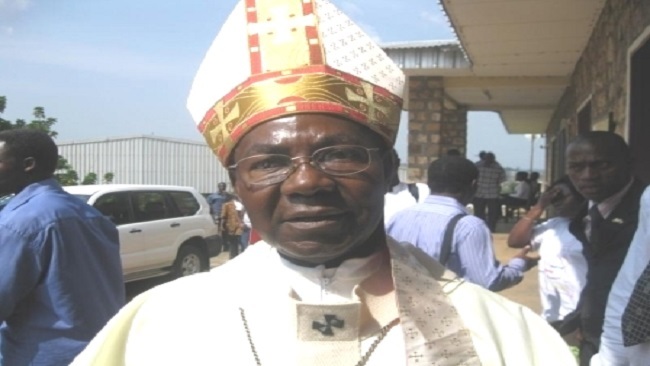 Archbishop Jude Thaddeus Okolo, 60, from Nigeria is due to take up the role during the summer. He will be the Vatican’s diplomatic representative in Ireland. The outgoing papal nuncio to Ireland Charles Brown will move to Albania to take up a new diplomatic post. 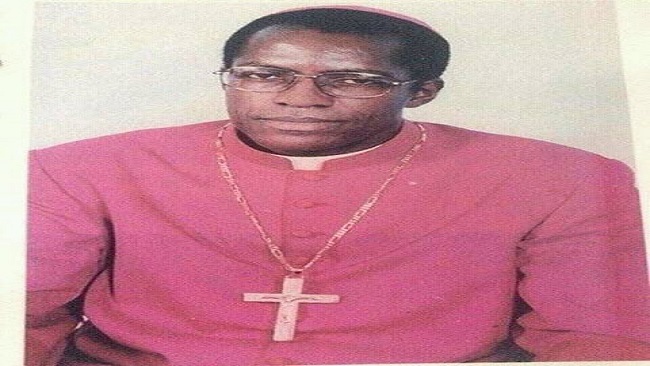 Archbishop Okolo was born in 1956 and ordained a priest in 1983. He holds a doctorate in canon law. His first assignment in the Diplomatic Service of the Holy See was in Sri Lanka. He has also served in Haiti, Switzerland and Australia. 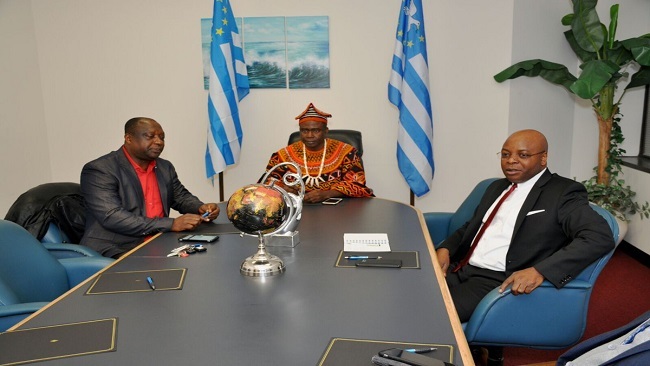 He speaks Igbo, English, French, Italian, Czech, Spanish and German. Eamon Martin, Archbishop of Armagh, said: “I warmly welcome the appointment by His Holiness Pope Francis of Archbishop Jude Thaddeus Okolo as Apostolic Nuncio to Ireland and I wish him many blessings in his new role. How do you react to the recent court summons of the Bishops of the Bamenda Ecclesiastical Province? My reaction is certainly one of disappointment because, in the first place, I do not know who is dragging me to court especially as the supposed plaintiffs have denied that they are not the ones responsible for the court summons. They accuse the Bishops of failing to ask parents to send their children back to school and of condoning to the acts of those who illegally requested for boycott of school thereby causing some confusion and persistently refraining from performing the duties of teaching children. They further accuse us of condoning to the resistance organized by some individuals and thereby causing social unrest. 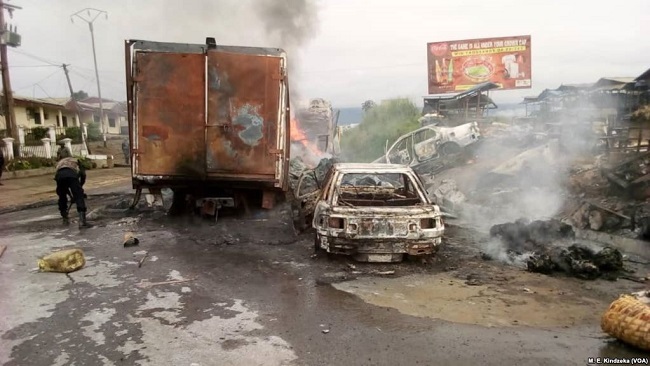 On the contrary, the Bishops have issued several communications all in an attempt to appeal to the parties to seek a peaceful solution to the current social unrest plaguing our country. In all our communications and, even in my homilies, violence in all its forms and no matter the origin has been vehemently condemned. We have never asked or encouraged anyone to organize ghost towns or civil disobedience. We have never closed down our schools or sent any child away who wanted to be taught. Parents themselves chose to come and withdraw their children after news spread that the gate of Sacred Heart College Mankon was vandalized. In effect, we have lost enormously because over seven hundred million had been spent in buying food stuff, books and didactic material for the running of schools. Unfortunately, all fees had not been paid when the strike started so the money has not been recovered. Instead we stretched beyond our limits to get money with which we paid teachers and supported the staff for several months after the strike started. We held meetings with parents and teachers to discuss the possibility of reopening our schools but parents chose not to send their children. To be accused now of not having ordered schools to resume is surprising. So, I am totally disappointed in whoever is behind this act. Do you think someone is behind all this and who could that be? Yes, I strongly believe so but I do not know who. I say this for a number of reasons. 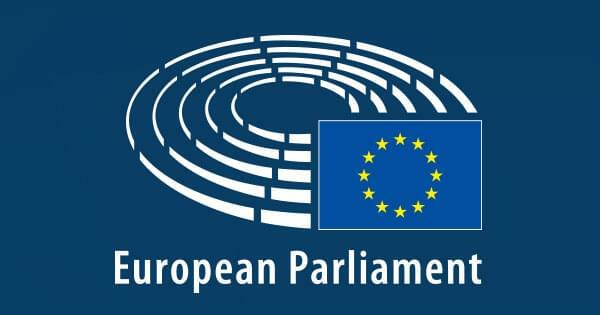 In the first place, because the representatives of the so-called “Consortium” are mostly military personnel. Secondly, because one of the charges is that my refusal to pay teachers’ salaries is causing a loss in taxes to the State. So I do not know if their interest is the loss of taxes to the state or it is the children’s welfare they are interested in. Our schools have Parents Teachers Associations right up to the diocesan level and nothing like a consortium of parents as the summons indicate. No one has brought any complaints against us with regards to the social unrests and we refused to listen. Furthermore they accuse us of propagating “false information liable to injure public authorities and national unity” and of attempting to justify “grievances and apprehensions which is being carried out against the security of the State”. So, from the look of it, there is someone behind all this and I am anxiously looking forward to meeting whoever is calling the shots. Does the Church have a preference for a particular style/system of government? Not at all, because the Church does not meddle in politics and has no political leanings. In our memorandum to the Head of State we have advised the government on what to do to have a peaceful solution to the existing problems. That is the best we can do as the voice of the voiceless that we are. We can only advise but cannot impose on the government. We do this by presenting to the government what complaints the people have and how to go about solving them. The Church is strictly apolitical and does not express any preference for a style of government. You are aware that Christians from all over the Bamenda Ecclesiastical Province were mobilizing to storm the courts had the matter not been suspended. Do you encourage such an action? I am aware of this because I received calls from Yaoundé, Douala, Buea and other towns. People called to give me their moral support, to reassure me of their prayers and to inform me they will be in court with me because they are the parents who refused to send their children to school and not the bishops. I informed the Governor of the North West Region just in case he did not know about it so that he takes his responsibility to ensure there is maximum security so that the peaceful protest march the people had planned to have will go on without escalating into violence. As to whether I encourage them, I would say I did not ask anyone to accompany me to court and in my communiqué to them about the summons, I only asked them to pray for a peaceful solution and to remain calm. But I think people are aware that they have a right to express themselves and that is why they chose to accompany me to court. Do you not think a situation like that could stir another uprising or could be considered by government as such? I would not have cautioned the Governor about impending danger if I did not foresee that some people could take advantage of the planned peaceful protest march to cause chaos. I already mentioned that all along we have been condemning violence no matter the source. So, I have to do what I can to avoid it. Christ’s Faithful in the Diocese of Buea were bracing up to travel to Bamenda in solidarity with the Church in Bamenda and Kumbo. Is Bamenda going to do same to Buea, Mamfe and Kumba? We intended going down to Buea as well for the simple reason that actually it is the Church’s hierarchy in our Ecclesiastical Province that has been dragged to court. And since there are two regions, they cannot, from a legal point of view, bring the Bishop of Buea to come and answer charges in Bamenda. So, all the Bishops of the Ecclesiastical Province are in court just as all the leaders of the Presbyterian and Baptist Churches in the two regions are also in court. So, the difference is only where one answers the case because the charges are the same. One of the accusations in the summons is about “the Catholic Church”; and that is a very serious accusation. It would have been totally different if I were accused as the Archbishop of Bamenda or if it were the Bishop of Buea, for example; but as the Catholic Church, I am afraid the Holy Father may have to come and answer the charge in this situation because he is the head of the Catholic Church. So, that is the gravity of it. So, what will be your reaction if whoever is dragging the bishops to court suddenly realizes this gravity and decides to withdraw the case? They are free to do so. If they think that they have no charges against us or that they are accusing us wrongly, they are free to. We are only praying that we should not go into situations that are meaningless; things should be founded and should be done properly because nobody enjoys going to court. And the question you asked, as they always say; “have you looked for a peaceful and amicable solution to the problem before going to court?” That is why I would have expected those who are bringing us to court to confront us and if we cannot satisfy them, if they have founded grievances, then they are free to go to court. This explains why the issue of the Church being dragged to court is really an embarrassment to us and I think to anybody. I hope that they will not keep on suspending the case indefinitely because justice delayed is justice denied. Your Grace, the matter in Buea has been postponed to the same June 5, like that of Bamenda. What reading do you make of that action? Well, they have a right to put it on whatever date suits them. If they have chosen to put both cases on the same day only they know why they have chosen to do that. I cannot interpret their act. But I know that the reason advanced for postponing the case in Bamenda is not convincing enough. The death of a lawyer or any court official should not cause the entire court to close down. That of Buea is even worse because no reason for its postponement was advanced. What do you think can be the quick solution to the current social unrest and how soon can that be? I think the solution is there. We have the knife and the yam. It is very clear. By “we” I mean the Cameroon nation and its authorities. We have the knife and the yam because we have more than a 50-year history. All these problems are man-made and we have been living through them. Let us have the courage, as I said earlier, to take the bull by the horns, look at the problems in the face and look for meaningful solutions. We would be a more peaceful country. This can only be done through genuine and honest dialogue and with the establishment of a truth and reconciliation committee. Cameroon has been hailed for being an oasis of peace. We do not want to lose that. We want to continue being an oasis of peace and we want to continue being an example to follow in our sub region. We do not want to push things to a point that people become exasperated and do foolish things. Let us listen to one another, accept one another and do things in one another’s interest. But Your Grace, there was dialogue with the inter-ministerial committee and the Prime Minister made several trips to the North West to dialogue with the people. Are you insinuating there was no genuine dialogue? When it started the inter-ministerial committee seemed to be in genuine dialogue with the teachers’ union leaders. But shortly after the discussions, some leaders were arrested and are still in jail. This shows there was some bad faith and no trust in the people they were dialoguing with. I have the impression that the PM did not come to dialogue but to present an agenda of a prepared solution to the problem without true and honest dialogue. 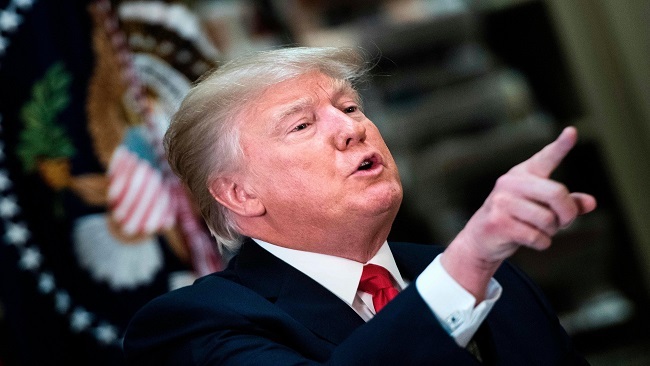 In this case there was no dialogue but a monologue because he spoke and everyone listened to him but he did not listen to anybody. So I insist that people should face the facts as they are and listen to each other during the dialogue. The Lord is risen Alleluia – Yes he is truly risen Alleluia. On Monday the 17th of April, 2017, while We, of the Diocese of Mamfe, were celebrating our Priestly Ordinations and basking in our quiet enjoyment in Manyu Division, some people totally unkown to us from Fako Division, namely, Dr. John Lyonga Efande, Ikome Williams Ligange and Alianto Ngala, through their Legal Counsel, Barrister Achu Julius Ngu Tabe, dragged us to the Court of First Instance in Buea, Fako Division and caused the State Counsel of the same Fako to summon the Bishops of Buea, Mamfe and Kumba to appear in Court on Monday the 24th of April, 2017 at 9 am prompt. The seven charges against the Bishops could be summarized in that the Bishops have refused to reopen the Catholic schools and thus supporting the illegal strike of the Anglophone Teachers. These people are requesting that the Bishops be convicted and imprisoned and pay damages of 150 Billion CFA. Coming at the splash of the Easter Joy, I can only see an attempt to spread the reign of darkness and get the prince of this world attempt to spoil our Easter Graces. But as you all know, the devil is a liar and we shall not give him the opportunity. I can only talk to you at this kind of trying moment in the words of Jesus who said to his Apostles, “Do not let your hearts be troubled. You believe in God; believe also in me”(Jn.14:1). As the Bishop of Mamfe, I stand by the Communiqué which all the Bishops of the Ecclesiastical Province wrote saying that “We have never closed schools and our doors remain open”. The Bishop of Mamfe does not live in Fako, nor does he own schools in Fako and this makes me worried that anybody can sit down in any part of the country and decide that I am a criminal and I have to go to court to prove that I am not. It is all a calculated attempt by some forces of darkness, that we shall get to know sooner than later, to humiliate, intimidate and incriminate the Church and rub the bishops in mud with wanton disregard and disrespect for God, whom these men in spite their human weaknesses, represent. They may end up discovering that they are fighting against God himself(Acts 5:39). It is the reign of the anti-Christ and this is not new. It is a struggle between light and darkness, it is a battle between good and evil, it is a wrestle between sin and righteousness and a confrontation of truth and lies. This is exactly what happened to my Boss who is the Son of a carpenter, Jesus Christ. He was blackmailed and dragged from Annas the High priest to Caiphas and then finally put before Pontius Pilate who unjustly condemned him to death. Shame to death! On the third day he rose again from the dead – Alleluia. Now he lives to die no more. Jesus told us to expect this when he said; “If the world hates you, keep in mind that it hated me first. If you belonged to the world, it would love you as its own. As it is, you do not belong to the world, but I have chosen you out of the world. That is why the world hates you. Remember what I told you: ‘A servant is not greater than his master.’ If they persecuted me, they will persecute you also. If they obeyed my teaching, they will obey yours also. They will treat you this way because of my name, for they do not know the one who sent me”(Jn.15:18-21). As a true and law abiding son of this country, I will respect the call of the law of the state and appear before the court of Frist Instance in Buea on Monday, 24th April, 2017 at 9.am prompt. I will not waste Diocesan money, which we don’t have, to hire a lawyer and I will not prepare any defense because I believe in Christ who said : “Watch out! Men will hand you over to the local courts. They will whip you in their synagogues. You will be brought before governors and kings because of me. You will be witnesses to them and to those who aren’t Jews. “But when they arrest you, don’t worry about what you will say or how you will say it. At that time you will be given the right words to say. It will not be you speaking. The Spirit of your Father will be speaking through you.”(Mtt.10:17-20). Stay calm and restrain from any acts of violence, be it verbal, physical or even psychological, that will only make the situation worse. This is a call I made to all the Motor Bike Riders on the 31st of December, 2016 and to all the Youth of the Diocese during the World Youth Day on the 9th of April, 2017 and I am repeating to all Christians of Mamfe today. On April 18, 2005, two days after he had just celebrated his 78th birthday, Joseph Cardinal Ratzinger delivered the homily Pro Eligendo Romano Pontifice to the College of Cardinals gathered at St. Peter’s Basilica, Rome. As Dean of the College of Cardinals, it was Ratzinger’s responsibility to highlight to his brother cardinals some spiritual yardsticks that could guide their discernment as they entered into conclave to elect Peter’s Successor. While the buzz word of Ratzinger’s masterful homily became his denunciation of what he styled the “dictatorship of relativism,” the central nexus of Ratzinger’s homily, I believe, lay elsewhere. He was not a prophet of doom unleashing canons of denunciation on culture, but a lover who was eager to share the love of his life, Jesus Christ, because he was convinced that encountering Jesus of Nazareth was a more liberating and joyful experience than atheistic secularism could offer. In other words, the central nexus of Ratzinger’s homily was an invitation into a friendship with Jesus Christ. Commenting on the Gospel text from John, I no longer speak of you as slaves (…). Instead, I call you friends” (Jn 15: 15), Ratzinger identifies two essential qualities regarding friendship with Jesus Christ: Firstly, there are no secrets between friends, evidenced by Christ entrusting the body of his Church into the hands of weak mortals, in this context, those charged with the solemn responsibility of electing the Bishop of Rome. Christ has made known to them the knowledge of God. He has made known to them everything he has learnt from his Father. Above all, he has entrusted the mysteries, the sacramental economy into their hands. We speak in his name, “This is my Body;” “I absolve you from your sins;” etc. Because the Lord has made us his friends, we have been invited into his power, into his relationship with the Father, so that from this encounter and intimacy, we become active agents of bringing about God’s liberating love to our world that is so much in need of God’s love, and yet often unconscious of this need. The second reading that Ratzinger gives to friendship with Jesus is the communion of wills: idem velle – idem nolle, same likes, and same dislikes: “You are my friends if you do what I command you” (Jn 15: 14). To be a friend of Jesus is to allow one’s discernment and consciousness to be shaped by Jesus Christ. It is to love what Jesus loves. It is to strive to live daily God’s will. I cannot be a friend of Jesus if my choices, preferences and likes contradict the manifest and revealed will of Jesus. For Ratzinger therefore, I am a friend of Jesus if I am completely open and transparent with Jesus, and daily seek to live a Christ-like life. As Benedict XVI, Joseph Ratzinger developed this theme of friendship with Jesus Christ especially in his homilies at priestly ordinations in which he presided as Bishop of Rome. To be a friend of Jesus Christ invites one into a greater intimacy of knowledge and communion, for friendship demands intimacy and knowledge. Father Benedict’s new ministry of prayer on behalf of the whole Church certainly mirrors to us his fondness and intimacy with Jesus of Nazareth, the love of Benedict’s life. To be a friend of Jesus Christ as seen in the life of Benedict XVI, clearly has an ecclesial dimension. How could it be otherwise in Joseph Ratzinger! As Benedict himself said in his Chrism Mass Homily in 2008, “being friends with Jesus is par excellence always friendship with his followers. We can be friends of Jesus only in communion with the whole Christ, with the Head and with the Body; in the vigorous vine of the Church to which the Lord gives life.” Friendship with Jesus Christ is friendship with the Church of Jesus Christ, because owing to the intrinsic link between the Church and Christ, the community of the Church is not an accidental product of time that could perhaps have emerged in its concreteness in a later time that was unrelated to Christ. Friendship with Jesus Christ likewise implies modelling one’s life after the hypostatic union of Christ, not primarily in terms of the union between Jesus’ humanity and divinity as taught by Council of Ephesus in 431, but in the sense of the identification of mission and person in Jesus of Nazareth. In Jesus, person and mission coincide, to the extent that to be a friend of Christ is to radically orient one’s life in a pragmatic, existential manner that is caught up in the never completely discernable transcendence that defines and shapes the openness with God, with Christ as the model of mission and person. In large part, Benedict’s deep sense of the symbolic, of a “disposable” anthropology is built on the conviction that his life is simply a standing for Another, a “representative” of Another, a being-in-reference to Another, a symbolic intercommunication meant to keep the window of the world open to the refreshing and life-giving breeze of God. Because Benedict believes that mission cannot be severed from person, what mattered was not his own person as Joseph Aloysius Ratzinger. He had responded to the call of the Lord as a priest, and the consequence of that response was to cease to live for himself. His life in the horizontalization of priestly ministry was a reflection of the verticalization that took precedence and shaped the resultant person-outcome of Joseph Ratzinger.Like his mentor, Augustine of Hippo, Benedict’s fruitful priestly life was a search for the face of his friend, Jesus Christ, as he himself wrote in the introduction into his trilogy on Jesus – a classic that will be with the Church for ages to come. And still following Augustine, Benedict, as is evident from his Last Testament, found himself, in finding Jesus. It became clear to this Son of Bavaria, with the passage of time, that he was not the only one searching, but Jesus was searching for him as well, even antecedent to Benedict’s conscious search for the Lord. Benedict discerned an aprioriness of love which his friend, Jesus, had for him, a realization that led him to see love as the very being of God. Jesus Christ is the a priori fundamental ground of Ratzinger’s a posteriori discovery and knowledge of himself. With Augustine, his theological and spiritual master, Benedict discerned his life as a gift of love, and he was certain that God’s love will never abandon him, since God had fashioned everything in measure, weight and number (Wisdom 11:20). The search for God, for the face of the love of his life, – quaerere Deum, became for Joseph Ratzinger, a bedrock of genuine anthropology. Christology, as a systematic treatment of the person and work of Jesus, was not his intention, as Benedict forcefully wrote in the Foreword to the second volume of his trilogy on Jesus, for the simple reason that Christology, notwithstanding the gains made by the historical-critical method,is often subjected to a sterile demythologization and conceptualization sounding verbalism in which Jesus of Nazareth becomes someone left in the past, perhaps in stacks of university libraries. Benedict’s sole desire was not a systematization of Jesus, but to make his friend known and loved, because he had arrived at the certainty that the brokenness that was plaguing the lives of so many post-modern men and women was a desperate cry for help that could only be met by the loving encounter with Jesus of Nazareth. To know Jesus of Nazareth was to enter into the open future of God that is transformative of the present. 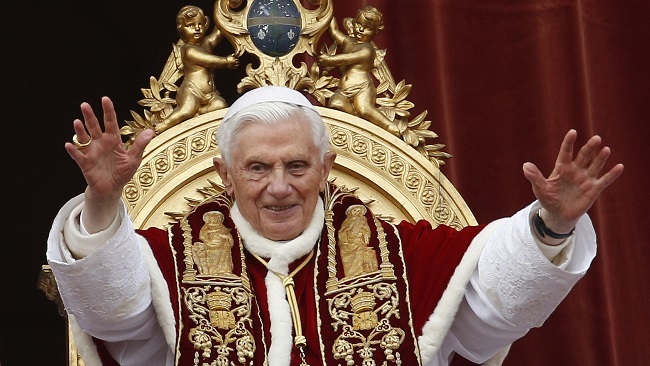 It was not mere coincidence that when Benedict visited his homeland, his theme for his apostolic visit to Germany was, Where there is God, there is a Future! The subtle implication could not be ignored: Where there is no God, perhaps there is no future! When Joseph Ratzinger found himself in finding Jesus of Nazareth what did he see? We can dare a response to this question by looking into his spiritual memoirs, his trilogy on Jesus of Nazareth, which should be seen as the unmistakable public testament of Ratzinger’s long friendship with Jesus. Clearly at the evening of is earthly life, Ratzinger, like the Samaritan Woman in John’s Gospel, felt the greatest good he could do to the world was to invite the village of the world to come to the well of Jesus and drink, so that we will never be thirsty again. Rather than settle for the mediocre, the minimal, and lesser waters away from Christ, that is, the shallow waters of egoism; of a life lived for the narrow vision of the self. Standing by Jacob’s well, we suddenly realize that it is not the well that is deep and us having no cistern to draw from the well. The real well is Jesus, and the water he gives to quench our thirst is the friendship with him. Little wonder that the Samaritans begged him to stay longer in their town! In the first volume of Jesus of Nazareth, Benedict runs through the classical Christological designations of Jesus: Kyrios; Son of God; Son of Man; Son; and the I Am. But given that he himself is clearly not eager to designate his work as a Christological text, we must look elsewhere to get a better appreciation of what Joseph Ratzinger’s long life-search had found. And that brings us to the second volume, in which Ratzinger himself writes in the foreword, that it is “only in this second volume do we encounter the decisive sayings and events of Jesus’ life (…) I hope that I have been granted an insight into the figure of our Lord that can be helpful to all readers who seek to encounter Jesus and to believe in him.” For a man who has always read into the fact that his birth took place on Holy Saturday, a symbolic sign of the Church that though longing for the light and hope of the Risen Lord, is not yet there, Easter for Benedict is the real defining moment of his quest for his friend, Jesus of Nazareth. His friend is the Risen One! This is the quintessential Ratzingerian characterization of Jesus of Nazareth. Why? Because hope in the present and for the future is borne from the Risen One, and without hope, the human being has nothing to live for, and life becomes a meaningless, boring routine. The Risen One is the central theological metaphor for Joseph Ratzinger because it is about hope and the future that informs, humanizes and divinizes the present. This is significant because Joseph Ratzinger is a thorough Augustinian who believes in a broken human nature, a broken world, in which the battle between the two loves of the City of God and the City of men and women is a tangible, unending reality. With the eyes of Easter, Ratzinger is able to diagnose the cure for the malady of what Pascal trenchantlynamed as diversion and indifference, that not only is eroding the humanity of men and women, but also depriving us of the meaning and joy of life, to the extent that men and women now live with little or no sense of the future. Perhaps as we celebrate Father Benedict XVI’s ninetieth birthday tomorrow, April 16, 2017, in gratitude to God for the unique gift of this man, this priest, this bishop, this genius of a mind, this unassuming, meek and shy friend of Jesus Christ, it is important to still pay attention to what this friend of Jesus Christ is telling us about his friend: “Jesus’ Resurrection was about breaking out into an entirely new form of life, into a life that is no longer subject to the law of dying and becoming, but lies beyond it – a life that opens up a new dimension of human existence – an “evolutionary leap.” In Jesus’ Resurrection, a new possibility of human existence is attained that affects everyone and that opens up a future, a new kind of future, for mankind. Christ’s Resurrection is either a universal event, or it is nothing (1 Cor. 15:16, 20). And only if we understand it as a universal event, as the opening of a new dimension of human existence, are we on the way toward any kind of correct understanding of the New Testament Resurrection testimony. Jesus has not entered normal human life like Lazarus and the others whom Jesus raised from the dead. He has entered upon a different life, a new life – he has entered the vast breadth of God himself, and it is from there that he reveals himself to his followers” (Jesus of Nazareth, Vol. II, 244 -245). Finally, we now know what Benedict found in finding Jesus: A “new kind of life;” a vast “breadth of God himself”! Jesus has not kept this “new life” from his Ratzinger his friend, precisely because there are no secrets between friends, and Ratzinger, by submitting his will to Jesus, entered into the same likes and dislikes of his friend, Jesus the Nazarene. With immense gratitude and uplifted hearts, we thank you, Father Benedict, for your eloquent communication of this “new kind of life” to us. Vergelt’s Gott, Father Benedict! 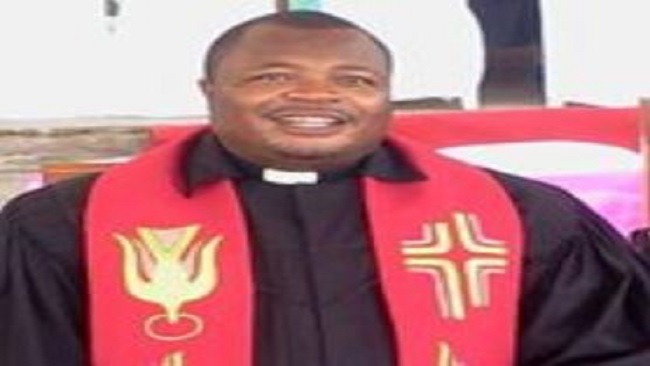 The Synod, which is highest body of the Presbyterian Church in Cameroon, has debunked allegations; the Moderator Rt. Rev Fonki Samuel has been summoned to appear before a Court in Buea concerning the Anglophone crisis. The Communication Secretary of the PCC, Rev Mokoko Mbue Thomas said it was only a rumor and told reporters that to the best of his knowledge the PPC Moderator is not wanted by any judicial body. The rumor alleged that his summon was even read in some PCC churches in the North West region. In March this year it was rumored that the PCC Moderator had declared a blank academic year in all Presbyterian schools. But this was later disclaimed by the Communication service on March 14 on the official website of the PCC. 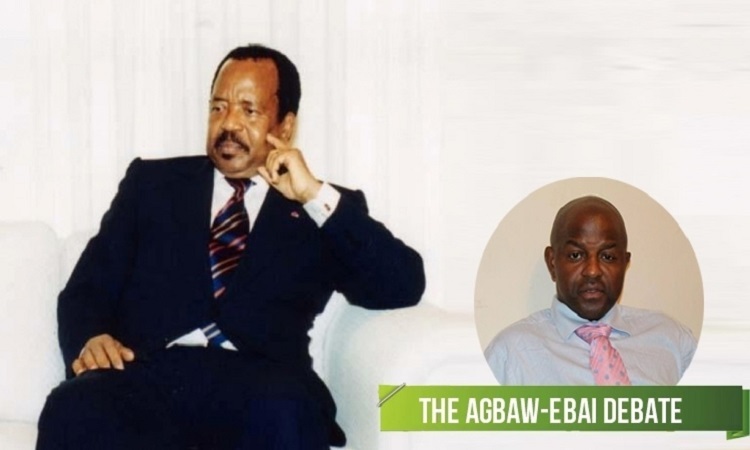 Rumor of this summon even went as far as alleging that even the President of Cameroon Baptist Convention, CBC and Catholic Bishops of the Bamenda Ecclesiastical Province were all asked to appear before a Court in Buea in a date not yet announced. Prime Minister Philemon Yang after his visit to the North West region said Government will work with Clergymen to determine when schools will reopen. The PCC has 22 Secondary schools, 233 Primary and Nursery schools with 640 and 980 teachers respectively. All these schools have remained closed since the strike action began.